The primary goals of this project are to rehabilitate the Stobie Creek to control sediment, stabilize stream banks and control the loss of land surrounding the creek due to erosion. Secondary benefits resulting from achievement of the primary goals include improvements to water quality and aesthetics as well as fish and wildlife habitat. Stobie Creek can be found just east of Desbarats, ON. 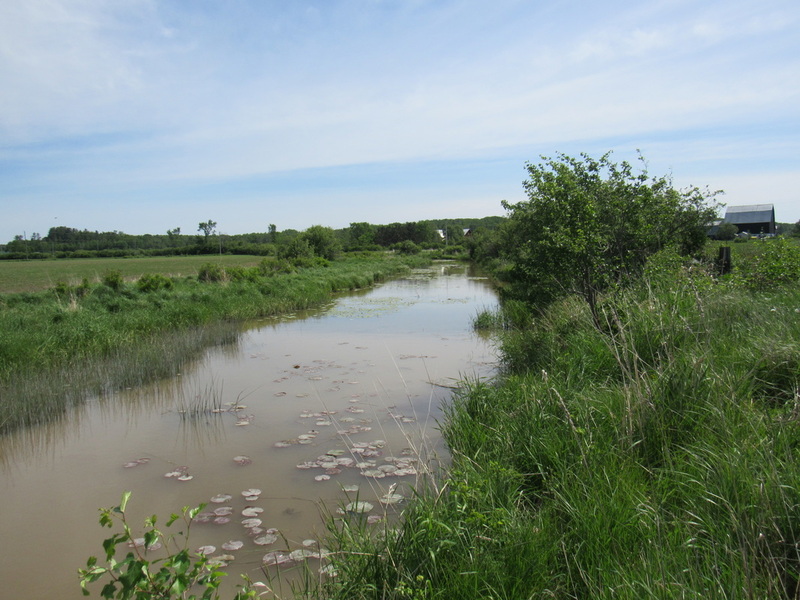 This creek flows from Gibboney Lake south into Lake Huron, through mainly agricultural land. The southern end of the creek is part of the Stobie Creek Wetland which is designated as Provincially Significant Wetland in Ontario. The creek and it's banks are home to many different plant and animal species. 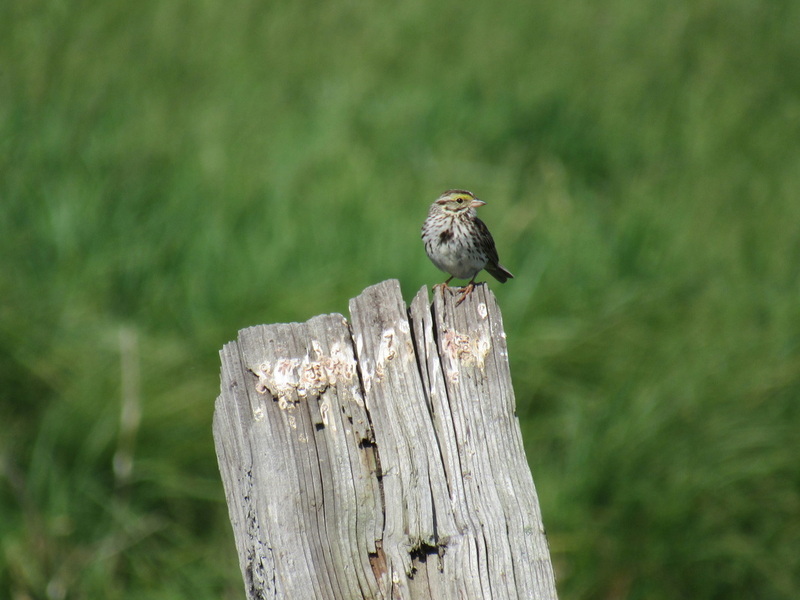 Bobolinks, a species at risk in Ontario, can be found along the creek during breeding season. Many other bird species, such as ducks, geese, bitterns, herons, kingfishers, swallows and sparrows can be found in and along the creek. Muskrats and beavers have been seen in the creek and many other mammals likely use it as well. Due to the curvy nature of the creek and the agricultural practices taking place along it, Stobie Creek is in need of some help. Many of the banks along the corners are eroding away, leaving deep undercuts that may give way at any time. Many of the trees and shrubs along the creek have disappeared over time, which makes the banks even less stable. In some spots, cows have direct access to the creeks for water, leaving the banks and the vegetation completely destroyed. The water in the creek has a very high turbidity due to the erosion and agricultural practices and sometimes brown water can be seen oozing into Lake Huron at the mouth of the creek. In 2014, the Kensington Conservancy received a grant from the Ontario Trillium Foundation to retain Tulloch Environmental, a division of Tulloch Engineering, to prepare a Rehabilitation and Enhancement Strategy for a 2.4 km stretch of the Stobie Creek in Desbarats. This strategy divided the creek into many different small sections and determined what work was needed to rehabilitate the creek in each section. 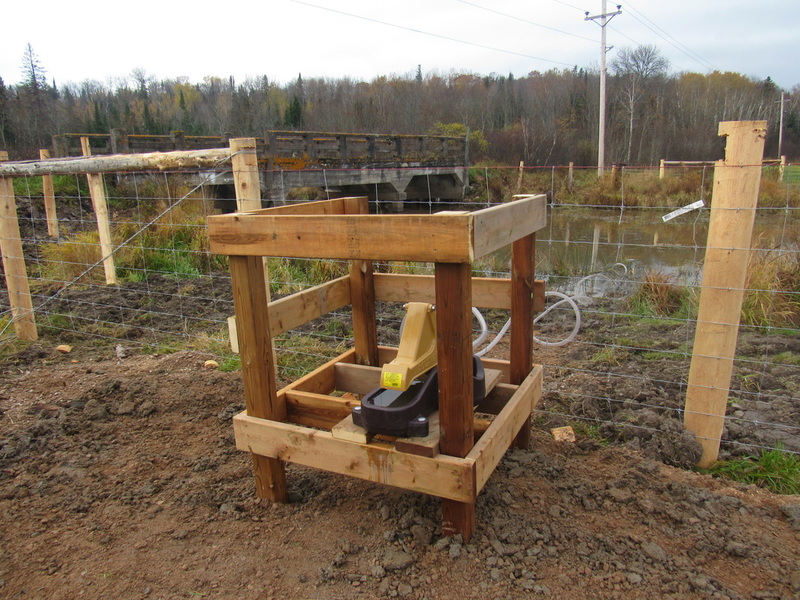 Through the grant, the Kensington Conservancy obtained the services of the Manitoulin Stream Improvement Association in an advisory capacity. Manitoulin Streams Improvement Association is a not-for-profit group that rehabilitates streams, river and creeks on the largest freshwater island in the world, Manitoulin Island, Ontario. They have rehabilitated more than 23 major sites on four waterways. This grant was completed on October 31, 2016. Now that it was determined what actual work was needed to be done, it was time to start putting in the ground work. Due to the expensive price tags to complete the entire work plans for the 2.4km stretch of the creek, the Kensington Conservancy is only able complete small parts at a time. Therefore, we are started by fencing in a 425m stretch of the creek on both sides and installing nose pumps so that the cattle do not have to enter the creek anymore to access water. Currently, the fence has been built and one nose pump has been installed. The other three nose pumps will be installed in the spring of 2017. More photos can be seen here. Now that the fences and nose pumps have been installed, we will look to begin implementing other aspects of Tulloch Environmental's Stobie Creek Rehabilitation and Enhancement Strategy. 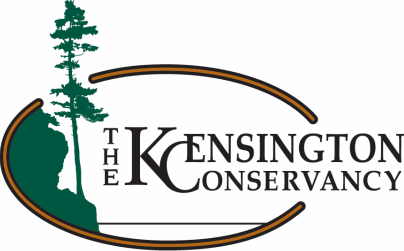 If you are interested in helping the Kensington Conservancy with this project in any way, please do not hesitate to contact us!